MANSFIELD — Richland Public Health wants everyone to remain healthy for the holidays. Foodborne illness, often called food poisoning, is a common, costly — yet preventable — public health problem. Each year, about one in six Americans (or 48 million people) get sick from foodborne diseases. 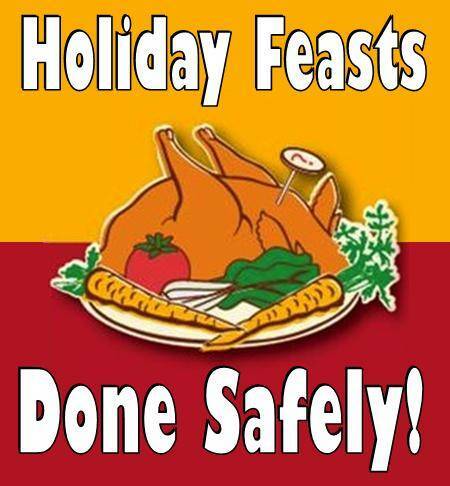 Here’s a quick reminder about the importance of food safety, especially with Holiday Meals in the coming months. The Four Steps To Food Safety can help prevent foodborne illness in the home. 1) Clean! Everything that touches food should be clean. Cleanliness is a major factor in preventing foodborne illness. Wash your hands and food-preparation surfaces often. Harmful bacteria (germs) can survive in many places around your kitchen, including your hands, utensils, and cutting boards. Rinse fresh fruits and vegetables under running water. 2) Separate! Fight cross-contamination! Cross-contamination is the transfer of germs to food from other foods, cutting boards, utensils and hands. Even after you’ve cleaned your hands and surfaces thoroughly, raw meat, poultry, seafood, and eggs can still spread germs to ready-to-eat foods—unless you keep them separate. 4) Chill! Make sure the temperature in the refrigerator is 41° F or below and 0° F or below in the freezer. Use a refrigerator/freezer thermometer to check the temperature. Harmful bacteria grow most rapidly in the Danger Zone — the unsafe temperatures between 42° and 134° F — so it’s important to keep food out of this temperature range. Refrigerate or freeze perishables, prepared food, and leftovers as soon as possible.